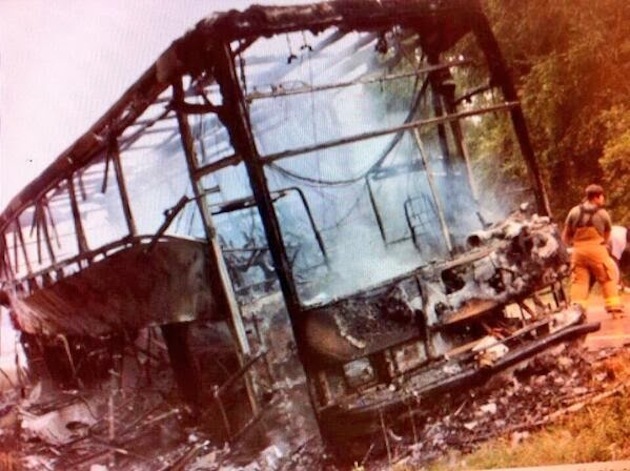 Concordia College Alabama coach Don Lee can’t help but think someone was watching over his team Saturday when the second of two buses headed for their game against Miles College blew up in front of them. Lee, who is also the athletic director of the small school in Selma, Ala., was on the first bus when his phone and the phones of others on his bus started ringing. He looked behind him and saw his second bus wasn’t there. The driver of the second bus said they had blown a tire and, as they tried to pull off the road safely, blew another tire, which started a fire in the back of the bus. While Lee was thankful his team was safe, he couldn’t say the same for the team’s equipment, which included uniforms, pads, balls and everything else the Hornets carry with them on game days. Compounding matters is the fact that the Hornets have a game on Thursday. Lee said Morgan Academy, a private school catering to children from Kindergarten through 12th grade, is loaning Concordia College Alabama its 30 sets of football pads. Jeff Davis High School in Montgomery is loaning out uniforms because they are the same color. That still leaves Concordia College Alabama without shoes, balls and other basic equipment, but Lee said he’s not done making calls. He’s even thinking of reaching out to the University of Alabama, just to see if he can get his players cleats. “I’m going to try to get in touch with Alabama because I know they have extra cleats and stuff,” Lee said. “I just haven’t had any time. 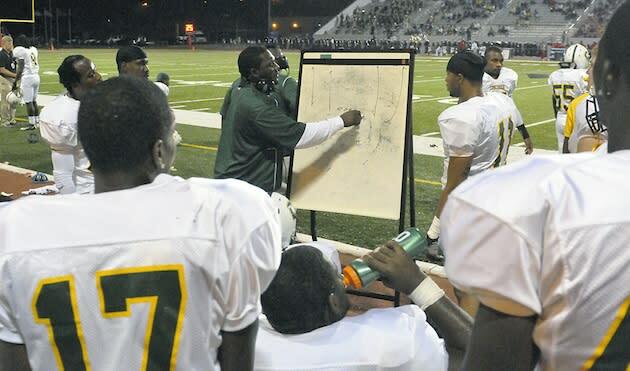 At a small school like this, I’m the football coach and the AD and I paint the field and everything else. The state of Alabama does have an embarrassment of riches when it comes to college football with program’s such as Alabama and Auburn, which could probably spare some practice gear and cleats to a in-state school in need. Lee said he’s doing anything to make sure he doesn’t have to cancel the season because of the lack of funds or help needed to keep his program afloat after this accident. “I’ve never been apart of anything like this before in my 15 years as coach,” Lee said. “We were blessed to get everyone off the bus and get everyone safe. For anyone wishing to help Concordia College Alabama by donating money or equipment, you can reach Don Lee at 815-573-8194 or via email at dlee@ccal.edu.